"This design is perfect- it draws on the style of the decade the book was written, but with a modern twist," reads today's statement from publisher Michael Morrison. 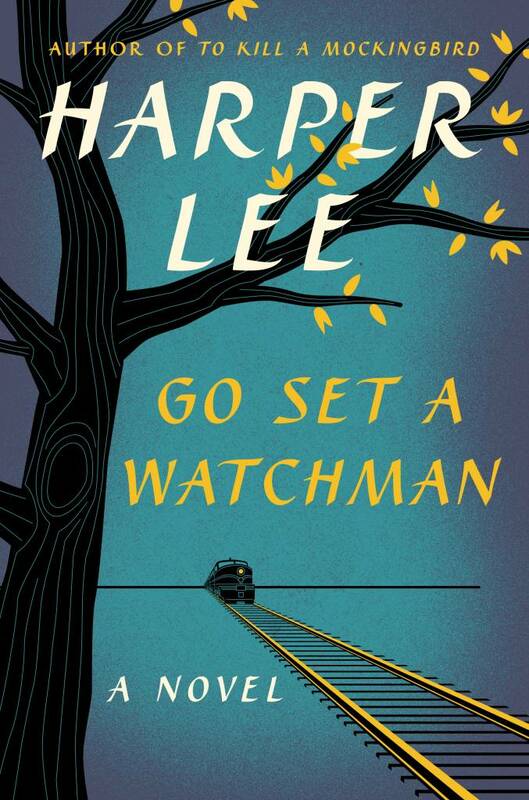 "GO SET A WATCHMAN begins with Scout's train ride home, but more profoundly, it is about the journey Harper Lee's beloved characters have taken in the subsequent 20 years of their lives." The discovery of the sixty-year-old manuscript by Lee’s lawyer Tonja Carter caused a hailstorm of controversy, as Harper Lee fans questioned whether the 88-year-old author was being taken advantage of, considering reports about her poor health and the fact she had never shown interest in publishing the work in the past. Recently, a state agency reviewing elder abuse claims found that Lee "has opinions and seems to be aware of what is going on with her book and the book deal.” The investigation is ongoing.